When I used Vienna for the last time 6-8 weeks ago (not sure on which Vienna version), these two feeds were still working. Now I have updated Vienna to the latest version and the feeds are encountering errors. Visit the website in Firefox. Click on the RSS feed link in the header. In the drop down menu select Vienna as the application to handle feeds. Click "Subscribe Now", Vienna opens with the URL autofilled. Remove the "feed" part of the URL: "feed://". Vienna fails with any feed when this part is included in the URL. In Vienna choose "URL" as the Source, click OK.
Vienna adds the feed, refreshes it and shows a warning sign in the sidebar. Checking the Activity Window I see that there's an "Error parsing XML data in feed". I have validated the feed URL from Vienna. While there are some recommendations, it says the URL is a valid RSS feed. I don't know which settings are relevant. Let me know what you need, I'll post it. - or, you may have run into Tumblr's new system to keep "adult" blogs away from people. If you right click on the feed in Vienna, is there an option "Show XML source"? (It may have been taken away in a more recent version than I use...) What does the XML source show? Do you see a feed, or HTML? If the former, it probably means that some post has some bad HTML/XML in it (maybe due to some HTML5 tags that are broken in XML processing?). If the latter (especially if it has 'tumblr' written in ASCII art in an HTML comment), you don't have a lot of good options, sadly. So does this mean that Vienna is simply unable to show any Tumblr RSS feed and that I need to switch RSS readers? I've complained to Tumblr that they should not protect the RSS feed in the same way, because RSS readers can't get the feed, but they don't seem to care. The only solution I was able to find was to write a program that fakes being a browser and logs into Tumblr, and then caches the important cookies. It then runs a proxy server locally, which I rewrite the URL in Vienna to request from, and the proxy can follow the redirects through Tumblr to get the file. If you feel like you can work with Perl stuff, I can send you these files (or maybe you can find another solution). That being said, I just tried to access these feeds using regular `curl`, and they don't seem to be protected -- I can get them without the authentication step. So it looks like there may be a caching problem? Especially if you use the browser in Vienna? You could try unsubscribing, quitting Vienna, and then re-subscribing? I'm not sure how to clear Vienna's caches, or if it's still tied to Safari's caches, but maybe clear the Safari cache as well? Thanks for the elaborate explanation, it helped me target my search better which resulted in finding this Stackoverflow question. 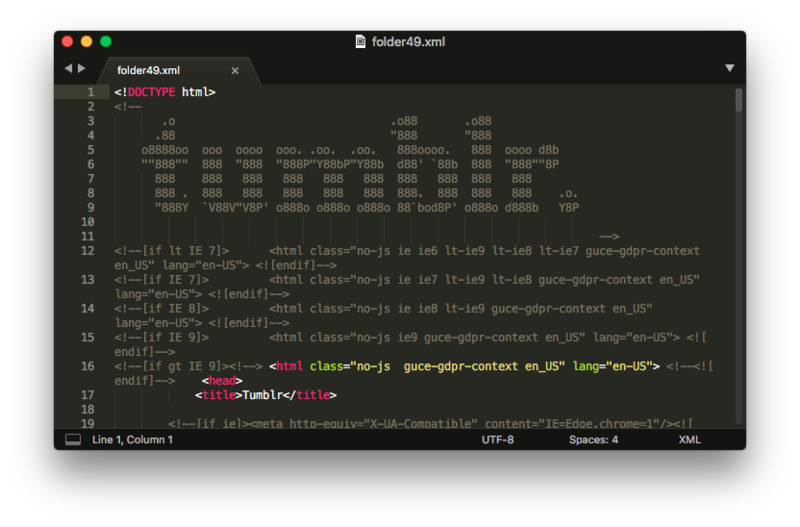 It appears that Tumblr has made an exception for Feedburner ― all Tumblr RSS feeds can be retrieved by Feedburner, and from there they can be read by any aggregator. Enter that url in the field under "Burn a feed right this instant"